Torture is defined under California Penal Code Section 206 as the infliction of great bodily harm with the intent to cause extreme pain and suffering. However, what sets torture apart from other similar crimes, such as mayhem, is the element of motivation. The law says that a person is guilty of torture if they are motivated by revenge, persuasion, extortion, or a sadistic purpose. 1 Without motivation, intending to cause pain and suffering and inflicting great bodily harm are not enough for a conviction under the law. Specifically, the laws says that any person who, with “intent to cause cruel or extreme pain and suffering for the purpose of revenge, extortion, persuasion, or for any sadistic purpose, inflicts great bodily injury” on another person, “is guilty of torture.” Notice that the intent to cause pain is all that is needed, the actual infliction of pain is not an element that must be proved by the prosecution. Torture does not always leave physical scars or injuries. In fact, in the following example, no physical injuries were reported, yet the couple was charged with and found guilty of torture. A couple was charged with torture under penal code 206 for starving their child. Example of Torture: A couple was charged with two counts of torture (and 6 counts of willful cruelty to a child) after state authorities determined their three emaciated children had suffered great bodily harm due to long term starvation. The couple faces the maximum sentence of 20-years-to-life-in prison. Under California law, you act with sadistic purposes if you inflict pain on another person to experience pleasure. Causing the victim to suffer great bodily injury. Great bodily injury is defined as significant or severe physical injury or injuries. However, this does not mean that the injuries must be permanent, disfiguring, or disabling. We will fight to prove your innocence against a torture accusation. Motivation – you were not motivated by revenge, extortion, persuasion, or sadistic purposes. To be guilty of torture, your motivation for causing cruel or extreme pain and inflicting great bodily injury must be for one of the above purposes. Self-defense – if you cause extreme pain or inflict great bodily harm in an effort to reasonably defend yourself, you should not be convicted of torture. False Accusation –Unfortunately, false accusations are somewhat common, and are usually motivated by revenge, anger, and jealousy. If someone has accused you of committing torture even though you did not commit the crime, that is a valid defense. If the prosecution can prove beyond a reasonable doubt that you have committed torture and you are convicted, you face a fine of up to $10,000 and a life sentence in California State Prison. A strike will also be added to your record under California’s Three Strikes Law because torture is categorized as a violent felony crime. If you are accused of committing torture, you should speak with an experienced California criminal defense attorney as soon as possible. The penalties and punishments for torture are severe in California and include life in prison. Speak with an attorney as soon as possible so they can help you begin building your best defense. The criminal defense attorneys at Wallin & Klarich are asked many questions by people who are facing torture charges. Here we answer some of the more common questions we receive. I was charged with torture, but then the victim died. What will happen now? In a situation like this, the first thing you should do is contact an experienced criminal defense attorney. The laws regarding death during the commission of torture, a violent felony crime, are strict and the penalties and punishments are severe. If the prosecution has evidence that you intended to torture a person and that person should die, whether intentionally or accidentally you could be charged with first-degree murder under California’s Felony Murder rule. First-degree murder under California Penal Code Section 187, is punishable by 25-years-to-life in California State Prison, life in prison without the possibility of parole, or death, depending on the circumstances. 2 If you are facing torture or first-degree murder charges, you should contact a criminal defense attorney immediately. How are aggravated battery and torture differentiated under the law? Motivation separates torture from aggravated battery. Whereas they are both defined by the infliction of great bodily injury, it is being motivated by revenge, persuasion, extortion, or sadistic purposes that raises the crime to torture. Torture is punishable by life in prison, while aggravated battery is punishable by up to a four year jail term. If you are sentenced to life in prison for torture, can you be paroled? Unless there are circumstances that would enhance your punishment, you could be eligible for parole seven years after the start of your sentence. There is no guarantee that you would be eligible for parole. Parole eligibility is determined by the Board of Parole Hearings during a parole suitability hearing. This is when you would find out if and when you would become eligible for parole. Your attorney will be able to provide you with specific information about parole and how to appear in front of the California Board of Parole. If you or someone you care about has been accused of torture under Penal Code 206, contact our experienced criminal defense attorneys at Wallin & Klarich today. Torture is a violent felony crime that carries serious penalties and harsh punishments. Don’t let a false accusation ruin your life, call Wallin & Klarich today. 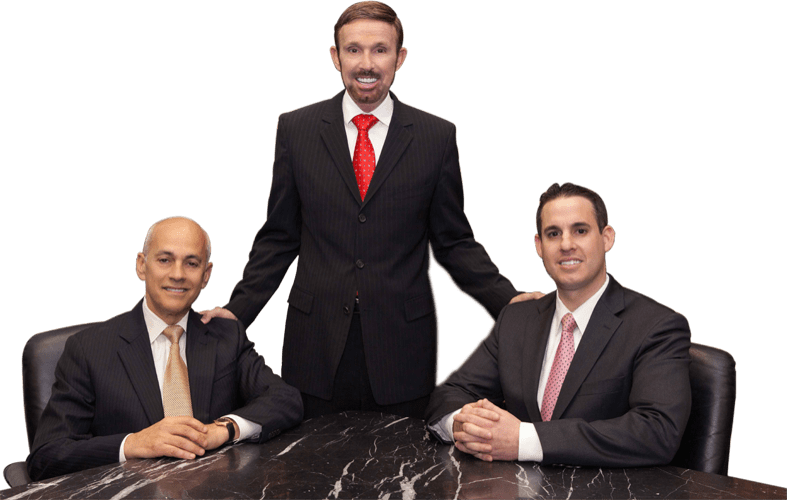 With over 30 years of experience, our attorneys at Wallin & Klarich have the skills and knowledge to successfully defend you against the serious charge of torture. We are committed to providing you with the personal attention you deserve and will help you get through this difficult situation. With offices in Los Angeles, Sherman Oaks, Torrance, Tustin, San Diego, Riverside, San Bernardino, Ventura, West Covina and Victorville, our attorneys at Wallin & Klarich are available 24 hours a day, 7 days a week to provide you with the very best legal representation. We will employ every available strategy to help you get the best result possible in your case.